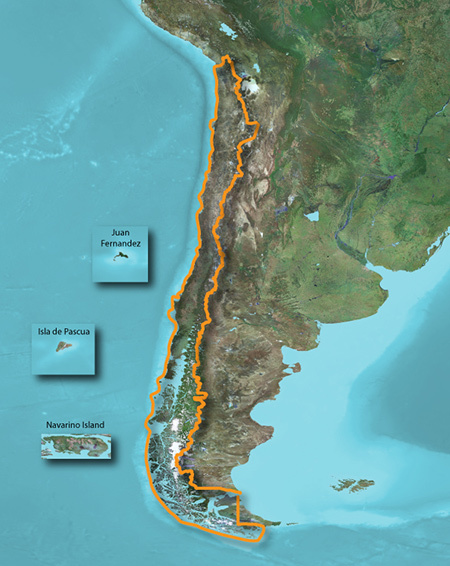 Let us be your outdoor guide in Chile. 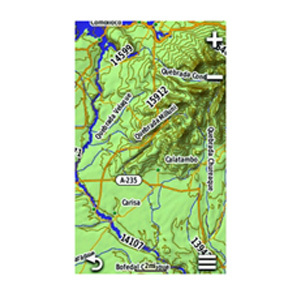 These detailed topographic maps show recreational and street maps for outdoor activities, featuring terrain contours, elevations, summits, parks, coastlines, rivers, lakes and geographical points. 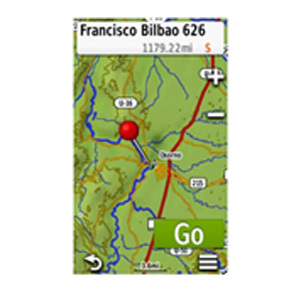 Provides detailed topographic maps for hiking, backpacking, cycling and other outdoor adventures. 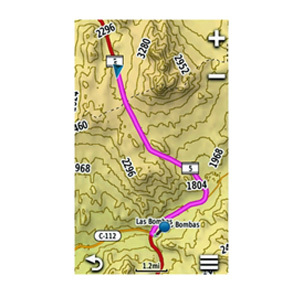 Shows routable road content including turn-by-turn directions. Includes a searchable database of points of interest as well as information on national parks, trails and tracks, lakes, rivers and streams. The file size of this download and space required on device or microSD™/SD™ card is 2.31 GB. If this download does not fit on your device, data may be saved on a microSD/SD card (Recycled microSD cards may be used to program map data). 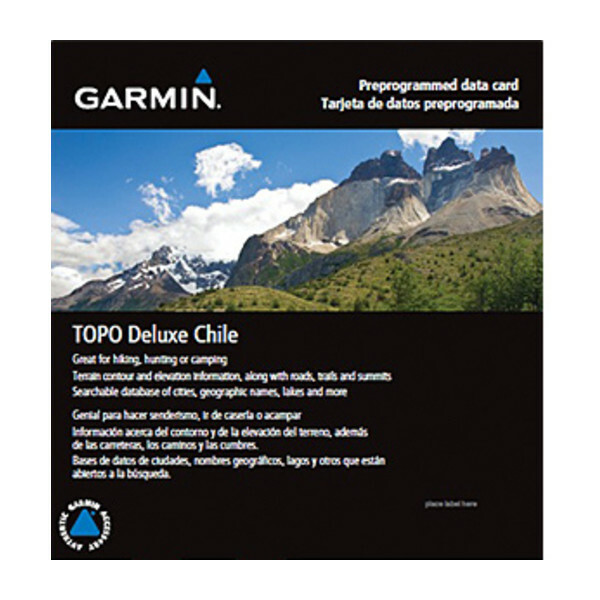 Features topographic coverage for Chile.